Look it! Across the drifting snow, just beginning to distinguish itself on the horizon, it’s the weirdest art buying frenzy and spring hip-drop on the Peninsula! SMALL FEATS is coming on! This is a shout to all the artist members of NAC to bring it! We looking for red-hot art works to sell-off in support of your friendly neighbourhood Artist-run Centre. For the most part the same game plan is on the locker room chalkboard: we’ll be hucking sweet one foot by one foot works of art—SMALL FEATS! NAC will supply the materials, either a 12”x12” canvas or hard board. All will be sold for $200. We’re also messing a little with the mix to make this cake bake up beautifully. NEW for 2019, we’re accepting printed works on paper. Pitch us a mock-up, sketch, whatever, and we’ll hand over the keys to NAC’s print studio so you can have the run of the place and start churning out some sweet little printed things (no larger than 12” x 12”) in an edition of 25. Each print will sell for $50. CHEAP! There are bunch of printing options serigraph, etching, lino, and wood block and Risograph! Send an email to nacsmallfeats@gmail.com with ‘Hit Print’ in the subject line to get the immediate and particular lowdown. Once again, we’ll cram the space with work in April, but only the best will be accepted. As per usual, contributing artists choose to donate all or half the proceeds of their work to NAC. Work on materials other than those supplied by NAC (canvas or Masonite board) such as photos, mixed-media, or works on paper will also be considered. You must be a member in good standing to participate. 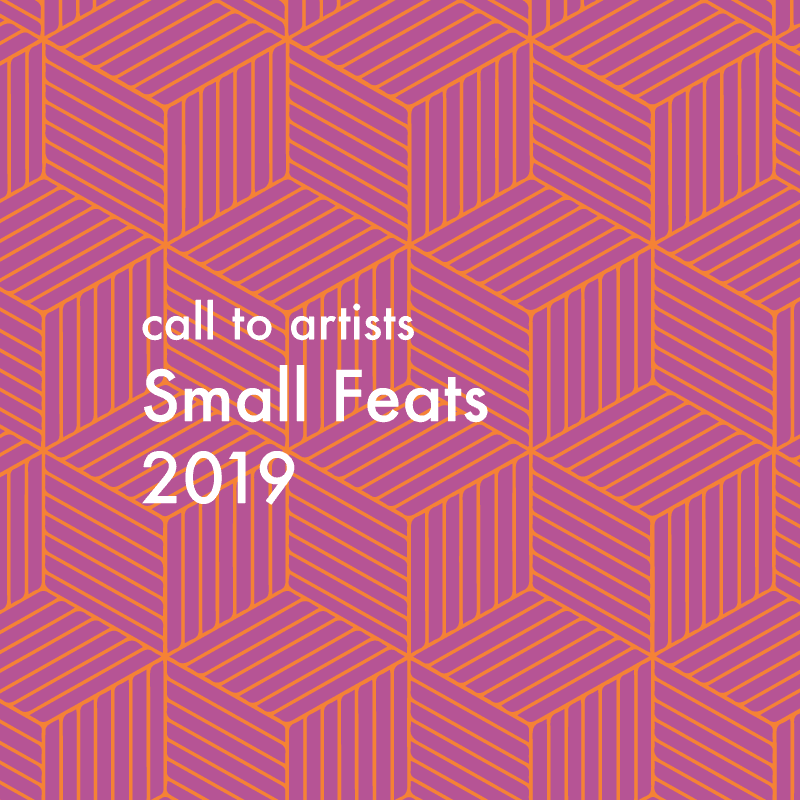 Let us know if you intend on making work by filling out the form (available HERE) and emailing it to nacsmallfeats@gmail.com by Friday 1 February before midnight. Small Feats takes place at NAC on Saturday 6 April. Save the date! > Saturday 6 April 2019 7:40PM VIP / 8PM GENERAL > SMALL FEATS! We will email you when the materials are available for pick up.